Drench your target with a major powersoaking from up to 33 feet away with the Microburst 2 blaster! This sleek, super-stealth blaster fits in the palm of your hand and it's the perfect addition to your water-firing arsenal. 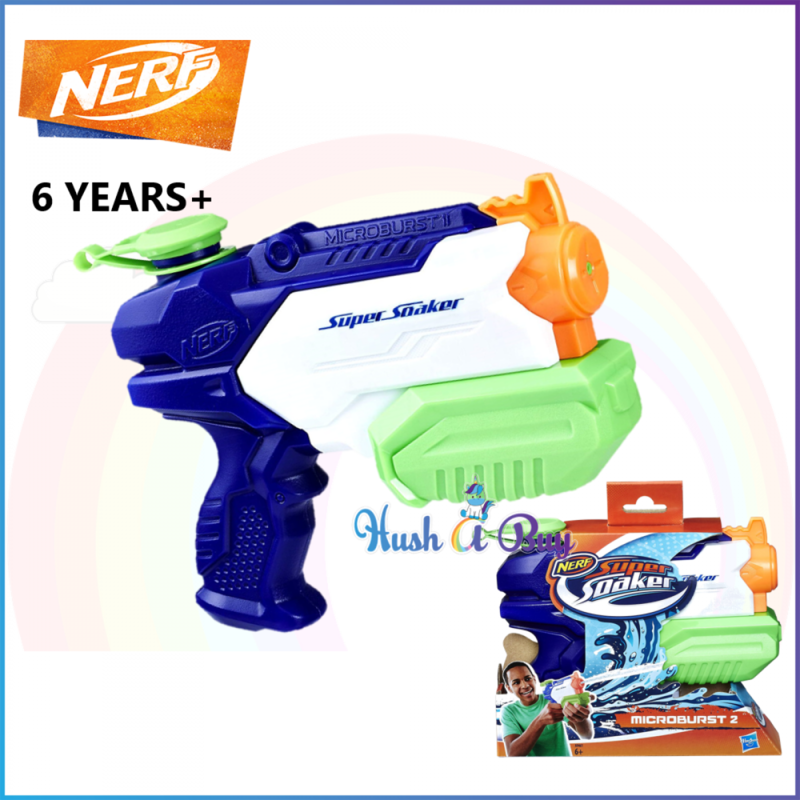 Just fill the 10-ounce tank on this compact blaster and sneak up on your target, then pump and fire a blast of water!